Lola Shoneyin was interviewed recently on RTE's the Art Show. 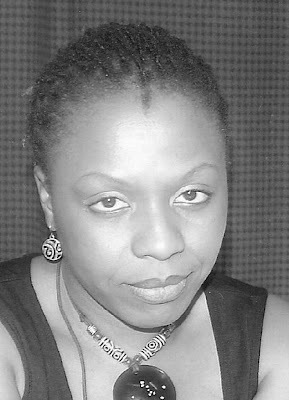 Shoneyin's much-anticipated debut novel, The Secret Lives of Baba Segi's Wives is published by Cassava Republic Press in February 2010. We are utterly excited to be the first to be publishing this fresh voice in African writing. The American and UK publication will follow later next year. I love her reading voice. Jeremy, can we not pre-order this book. I can't wait to read it. Talk about wetting our appetite!! She sounds strong and confident. I am so looking forward to reading this book. This woman definitely has a way with words. I checked her website and noticed that she has written two collections of poetry before. how come i have never heard of her. We need our authors promoted. I love reading generally, but finding African writers is impossible. This is why I love what you guys are doing. May God bless you and Bibi, and may you go from strength to strength. Jeremy can I suggest something? why don't you have a short reading selection from all your authors (or if they are awlful like Toni Kan let others with engaging voice read on their behalf)and then encourage people to pre-order. That way you have a sense of interest before going to press. never heard of this woman before. But as always, coming to your website is always a treat. Thank you for continuing to highlight the gems we have in this country.